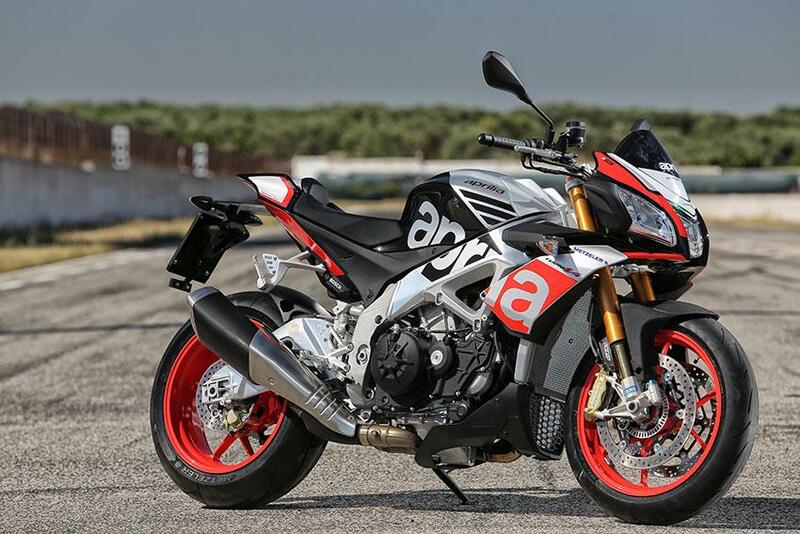 We’ve had to wait a long time for Aprilia to come up with a ‘Factory’ version of their brilliant V4 Tuono, but now it’s finally here…and it’s been worth the wait. The new £14,635 Aprilia V4 1100 Factory is one of the few motorcycles on this planet to combine such a glittering-level of performance and technology, mixed with lashings of real-world practicality. Costing just £1500 more than the RR, the Factory has the obligatory fully-adjustable Ohlins rear shock, forks and steering damper and comes painted in Aprilia Racing ‘Superpole’ colours. Engine, chassis, brakes and electronics are all the same as the base model. It’s hard to believe how a production road bike can cover ground so quickly, with such little effort. The steering is light and accurate, the traction control cossets and never holds you back, the quickshifter is the best in the business and there’s huge amounts of feel and grip in, through and out of corners. And with its Swedish suspension units keeping everything in check, the Factory tempts you to hold the brake harder into corners and begs you to get on the throttle harder when an apex flashes past your knee. It has the DNA of a superbike on the track, is fun, safe and practical on the road and built with the precision and quality of a Swiss watch. The seat is more comfortable and a reshaped nose fairing cuts down the windblast. It’s full factory sportsbike perfection. We briefly rode the 2015 RR base model at its recent launch, but this is our first chance to really get to know Aprilia’s new 2015 V4 1077cc engine. It has a smoother ride-by-wire throttle and easy grunt off the corners, but it has a wild side. Above 9000rpm it takes off like a superbike, but it’s so easy to control, thanks to that throttle, linear power delivery, cutting edge wheelie and traction control and a chassis that’s a beautifully balanced as it is fabricated. The Tuono steers with little effort and goes exactly where you point it, no matter how fast you’re going. 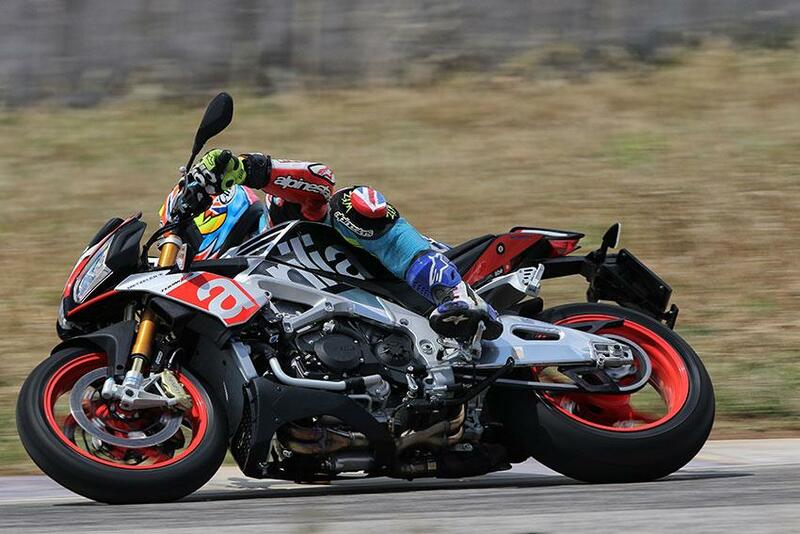 But the Factory’s Ohlins suspension takes the Tuono’s cornering brilliance in to another level. It adds an extra layer of plushness, control and gives you a more comfortable ride. It’s not cheap, though. Fourteen and a half grand is a lot to spend on a naked bike, especially when you get something like the new K5-powered GSX-S1000 for over £5k less. But the Tuono has the best wind protection of its straight-barred superbike rivals, the most advanced electronics this side of a WSB paddock and sounds every inch like a wailing MotoGP bike. And once you’ve got it home you’ll be finding every excuse possible just to lift your garage door to gawp at it. 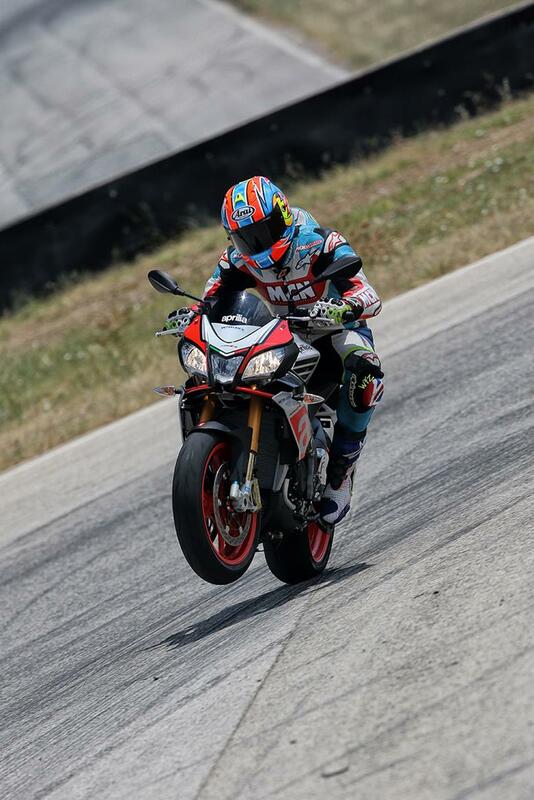 Forget your track-focussed race-replica superbikes - the Aprilia Tuono V4 1100 Factory is the best road-going performance bike you can buy, bar none. Aprilia Tuono V4 1100 Factory ridden today. 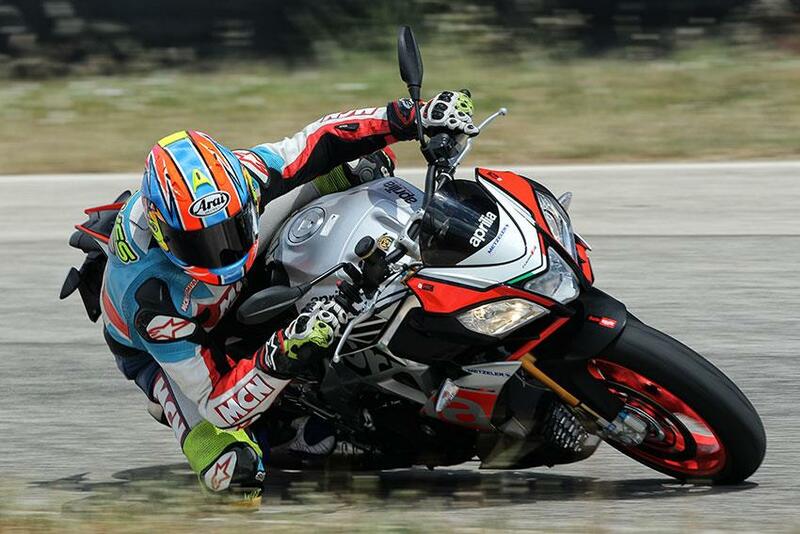 VIDEO: Aprilia RSV4 Factory APRC SE v some Datsun – are bike firms growing their balls back?